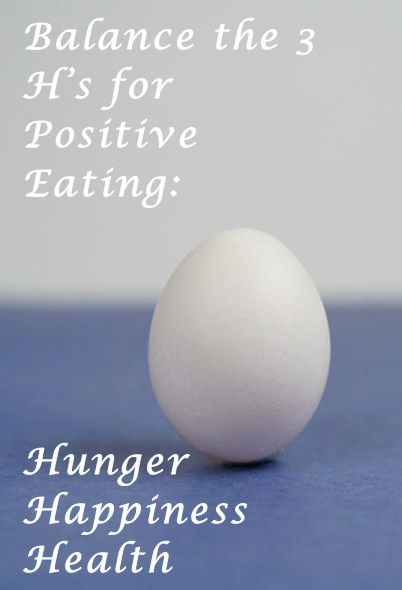 What does Positive Eating mean to you? Tell us your story! In 100 words or less, share what Positive Eating means to you. Responses will be featured on our upcoming newsletter. If you can’t see the list, do not worry. That is because THERE ARE NO FOODS THAT CAN NOT BE PART OF A HEALTHY DIET. This post in in response to all media health propaganda and diet plans out there that label foods as bad or good. Here is an example. There is a lot of negative energy in such articles. And this is what Positive Eats suggests: Rather than focusing on things we should avoid, or the negative effects of consuming certain foods, we should be focusing on the nutrition and health we are gaining from our diets. Remember, there are no bad foods. Let’s educate each other on the nutrition in foods rather than blindly advising each other on personal actions. Please do not tell someone a Big Mac is bad for them. Do not tell someone who is about to consume a Big Mac that they should not eat it. Rather, educate them on the nutritional makeup of a Big Mac and how those nutrients play a role in our survival, and then let them choose how Big Macs will play a role in their diet. The decisions we make ourselves, influenced by individual circumstance, and coupled with nutrition education will be the healthiest decisions for our lives. Happy Eating everyone! How do you feel about the role of media in our perceptions of foods? Stop. Think for a moment. Why are you eating what you’re eating? All three H’s are interconnected, and present in various amounts when we decide the foods to consume. Ideally, we should eat for a balance of all the three H’s. When you eat something, are you hungry? 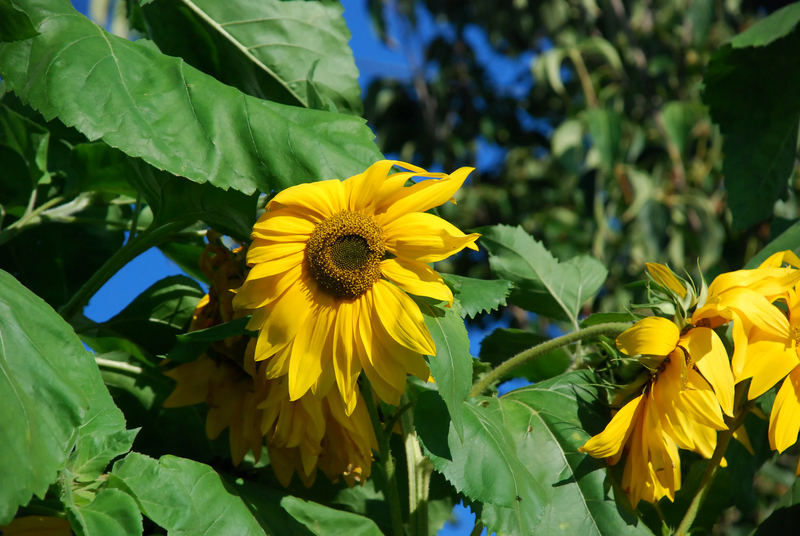 Will it bring you happiness and are you currently in a happy state of mind? Are you eating it for overall health? Be aware of the foods you consume, the nutrition they offer, and the emotional feelings that come with them! Are you balancing the three H’s? Let’s take a moment to look at the nutrition (taken from poptarts.com) in a blueberry Pop-Tart. How much fat, carbs, protein, vitamins, and minerals do you see? 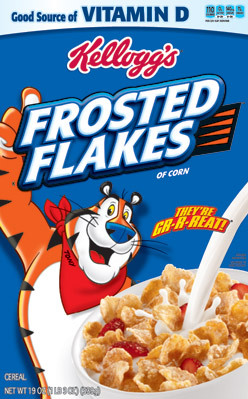 Bright blue box, Tony the Tiger flashing a big thumbs up–Frosted Flakes cereal is without a doubt a children’s favorite in the cereal aisle. Falling into the same category as Fruit Loops, Lucky Charms, and Cocoa Puffs.. these cereals unfortunately fall victim to labeling by health professionals as bad for our health. But are they really so bad?? No! Because there are no bad foods. Let’s take a look at the nutrition in Frosted Flakes. Just take a good, objective look at that nutrition label for a hot minute. Notice the nutrients. Look at the ingredients. In the end..Frosted Flakes are really very simple. Corn flakes and sugar. And added vitamins/minerals. That’s all. And that’s the end of this post too. Happy Breakfasting!! Do you like Frosted Flakes? Stumbled upon this article online, and thought it was a great example of what our focus should be in shaping young children’s eating habits–POSITIVITY. Foods that are high in calories, fat, sugar and salt like cakes, chocolate, cookies, doughnuts, ice cream, french fries, potato chips, pop, sports and energy drinks, and sweetened hot or cold drinks should be eaten less often. When you limit these foods yourself, your children will be less likely to eat them as well. It is important not to label these foods as “bad”. They are simply foods to be eaten occasionally and in moderation. Perfect. The article also states not to force children to eat anything, and also to avoid using food as a reward or punishment. Food is there to nourish our bodies. Children should not be pressured to eat a certain amount, but rather allowed to choose from a variety of options you as parents provide based on hunger level. What are some positive eating strategies you abide by? Rhinehart, who is twenty-five, studied electrical engineering at Georgia Tech, and he began to consider food as an engineering problem. “You need amino acids and lipids, not milk itself,” he said. “You need carbohydrates, not bread.” Fruits and vegetables provide essential vitamins and minerals, but they’re “mostly water.” He began to think that food was an inefficient way of getting what he needed to survive. “It just seemed like a system that’s too complex and too expensive and too fragile,” he told me. 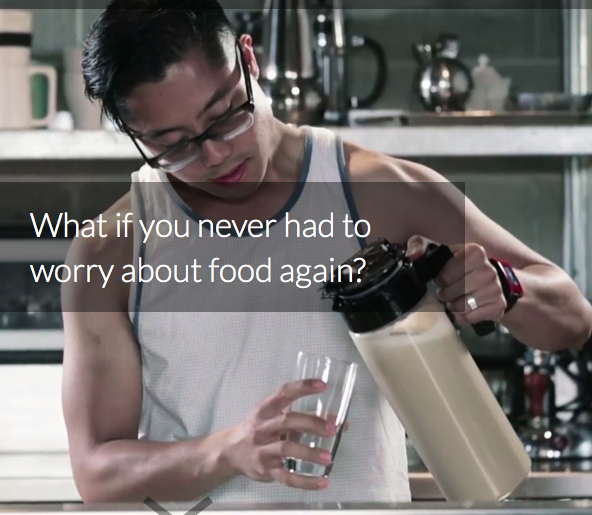 Soylent does raise some interesting ideas and brings new light onto nutrition today. Is food overrated? Are we placing too much focus into eating? Is it better to drink a meal replacement complete with essential nutrients, or would we be better off consuming actual food that may not represent a balanced meal? Most importantly, the debate on Soylent is bringing nutrition education into focus. People are trying to create their own versions of the nutrient drink, doing research into what our bodies need, experimenting and talking about vitamins and minerals. This is GREAT. Better to discuss and learn than to sit around blindly telling each other what the perfect diet should be. What do you think? Is Soylent a positive win for society?